"I thought I'd learned my lesson on the last record. A pretty towering lesson. That whatʼs most important to me are my roots, my family, my home and ultimately 'knowing thyself'." Three years ago and three albums into a career that began with his 1998 self-titled debut, Cohen decided that he and the music business should call it quits. Talked into giving it one last go, he released his best and biggest album to date. Like A Man (2011) was an elegant, intimate beauty. His songs, performed on a nylon-string guitar, both had a deep connection and engaged in deep personal conversation with one of his greatest musical influences, Leonard Cohen. Adam's father. As MOJO said, this was an album in which Adam Cohen "set about a quiet rapprochement with his DNA." It was also, as Leonard Cohen said, an album of "world-class love songs." A critical and commercial success, it brought Adam a gold album, a long world tour and great anticipation for the follow-up. In a break between concerts, he went into the studio and emerged with a new album, which he scrapped. It didn't feel honest. “I realized that I needed desperate measures to keep me honest and also to relieve me of the anxiety of following up the only successful record I've ever made. However deliciously I had been in orbit, touring with that record, I needed to tap into something more terrestrial, more rooted and real." We Go Home, Cohen's fifth album, is by all definitions homemade. He recorded his songs in rooms as familiar to him as his name. Since the band was playing in Europe, Adam decided to set up shop in the little white house on the Greek island of Hydra where he had spent much of his childhood. "Making an album in the comfort of home on makeshift equipment with this band of touring musicians who had become my family immediately offered a beacon of hope that no studio, or session players or priceless gear ever could." They continued recording in Montreal, where Adam was born, in the house where he spent his earliest years. "I knew I was painting a target on my back, making my album in the so-called homes of Leonard Cohen, but they're my homes too. These are the walls that saw me grow up the most and that I needed to come back to. My muse is my home"
Some of the themes on We Go Home continue the conversation that Like A Man began. "I want the songs to speak for themselves", says Cohen, "but what I can say is that the songs on this record mostly chronicle conversations Iʼve either had with my old man, or want to have with my boy", Adam's seven-year-old son Cassius, "and a few conversations I'm having with myself. And, of course, there are love songs." What's different is the tone—richer and fuller this time, more diverse, making the most of the three-piece band and three-piece string section from his tour. The nylon-string guitar is still there, but there are also piano songs - the title track's tenderness and self-mocking humour recalling one of Cohen's other great musical influences Randy Newman. "My last album was about me finally claiming my belonging to a tradition and finding my voice within that tradition. 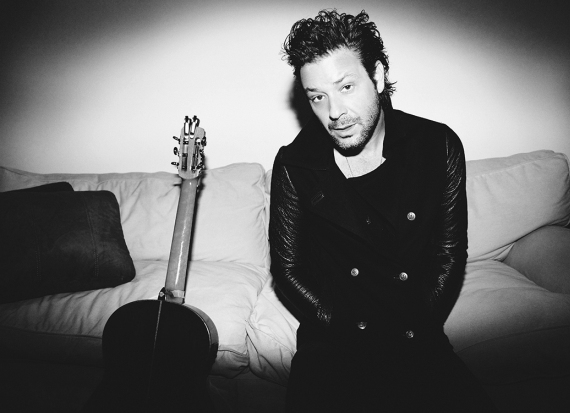 My new album," Adam Cohen states, "is about me raising my voice."